Prime Minister Theresa May has won a vote of confidence in her leadership of the Conservative Party by 200 to 117. After securing 63% of the total vote, she is now immune from a leadership challenge for a year. Speaking in Downing Street, she vowed to deliver the Brexit "people voted for" but said she had listened to the concerns of MPs who voted against her. Her supporters urged the party to move on but critics said losing the support of a third of MPs was "devastating". The prime minister won the confidence vote with a majority of 83, with 63% of Conservative MPs backing her and 37% voting against her. The secret ballot was triggered by 48 of her MPs angry at her Brexit policy, which they say betrays the 2016 referendum result. What next for Theresa May? The BBC's Laura Kuenssberg said the level of opposition was "not at all comfortable" for the prime minister and a "real blow" to her authority. 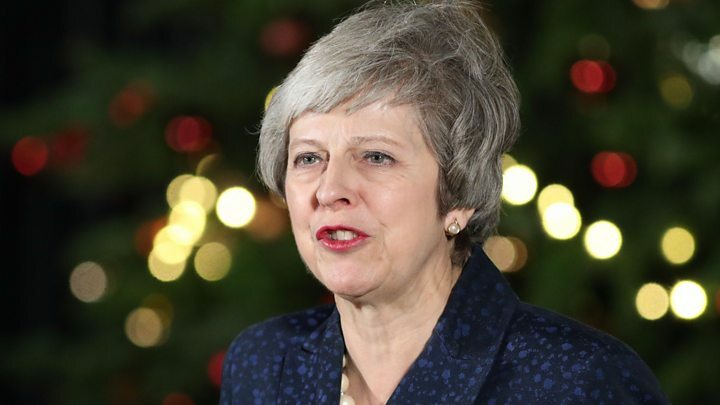 Speaking shortly after the result was announced, Mrs May said she would be fighting for changes to her Brexit deal at an EU summit on Thursday. "I am pleased to have received the backing of my colleagues in tonight's ballot," she said. "Whilst I am grateful for that support, a significant number of colleagues did cast a vote against me and I have listened to what they said." She spoke of a "renewed mission - delivering the Brexit people voted for, bringing the country back together and building a country that really works for everyone". How have Conservative MPs reacted? Jacob Rees-Mogg, who led calls for the confidence vote, said losing the support of a third of her MPs was a "terrible result for the prime minister" and called on her to resign. 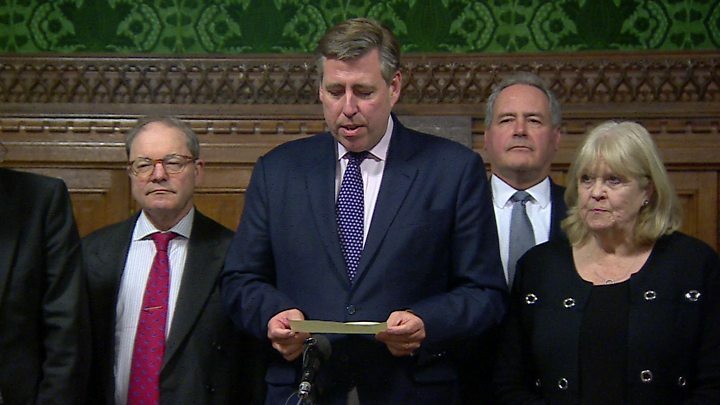 Brexit-backing Tory MP Mark Francois told the BBC it was "devastating" that more than half of backbenchers not serving in the government had abandoned the prime minister. "In the cold light of day when people reflect on that number - 117 - it's a massive number, far more than anyone was predicting. I think that will be very sobering for the prime minister. I think she needs to think very carefully about what she does now." Transport Secretary Chris Grayling conceded there were "lessons" for the prime minister and the party in the result but former cabinet minister Damian Green said it was a "decisive" victory for the prime minister, which should allow her to "move on and get on with the job in hand". Conservative grandee Nicholas Soames urged Brexiteers to "throw their weight" behind the PM as she sought to address the "grave concerns" many MPs had about aspects of the EU deal. The result was greeted by cheers and applause from Tory MPs as it was announced by backbench Tory chairman Sir Graham Brady. 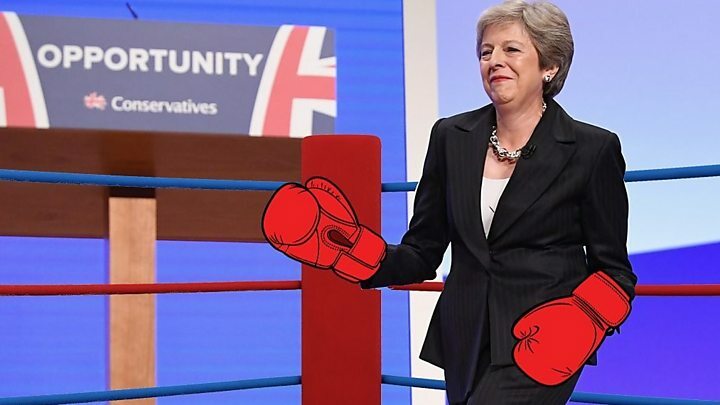 The prime minister still faces a battle to get the Brexit deal she agreed with the EU through the UK Parliament, with all opposition parties and, clearly, dozens of her own MPs against it. What are the opposition saying? Labour leader Jeremy Corbyn said the vote had "changed nothing". "Theresa May has lost her majority in Parliament, her government is in chaos and she's unable to deliver a Brexit deal that works for the country." Labour has said it will table a no-confidence motion that all MPs - not just Conservatives - will be able to vote in when they felt they had a chance of winning it, and forcing a general election. The SNP's Stephen Gethins urged Labour to "step up to the plate" and call a vote of no confidence in Mrs May, accusing the government of "playing games with people's lives". DUP deputy leader Nigel Dodds said his party, which helps keep Mrs May in power, was still concerned about the Irish backstop plan, which most MPs were against. "I don't think this vote really changes anything very much in terms of the arithmetic," he told BBC News. But he said the DUP would not support a no-confidence motion in Parliament at this stage. Mrs May earlier vowed to fight on to deliver her Brexit deal, which she argues is the only option for leaving the EU in an orderly way on 29 March. But in a last-minute pitch to her MPs before the vote she promised to stand down as leader before the next scheduled election in 2022. While "in her heart" she wanted to fight another election as leader, she realised her party did not want her to. However, she resisted calls to name a firm date for her departure. If she had lost the confidence vote Mrs May would have been forced to stand down as Conservative Party leader, and then as prime minister. But she is now expected to travel to a summit in Brussels on Thursday to continue trying to persuade EU leaders to change the deal - they have previously said it cannot be renegotiated. The outcome of the vote was welcomed by Austrian chancellor Sebastian Kurz, who said avoiding a no-deal exit from the EU was their "shared goal".